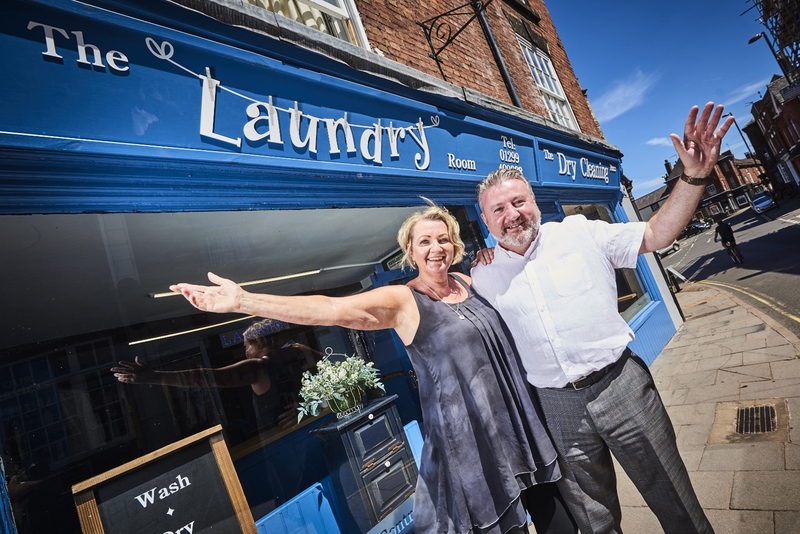 Worcestershire businesswoman Sue Guise-Teeling and her business partners, who 18 months ago opened The Laundry Room, a popular washing and ironing service in Bewdley, have invested £60,000 to open The Dry Cleaning Room in a next door shop. The venture provides the town with a dedicated drycleaning service that offers a free local collection and delivery service. Ms Guise-Teeling added that aside from providing services to walk-in customers, the new shop is also developing its commercial side with it offering a laundry service to local restaurants and hotels. With a heavy investment in the shop’s fit out and a top of the range eco dryer to clean items such as suits, curtains and wedding dresses, the business is providing four new jobs, taking the team to six. “It’s really exciting to be opening our second shop in Bewdley and we’ve made sure they complement each other perfectly. The washing and ironing business has been hugely popular over the past 18 months but we always felt the town was crying out for a high quality drycleaners,” said Ms Guise-Teeling.